Alexander Zverev shocked second seed Roger Federer in straight sets in the Montreal Masters final to win his fifth title of the season and 10th consecutive victory on Sunday. The 20-year-old German used his booming serve to overpower Federer 6-3, 6-4 as the Swiss superstar never got a chance to get into the match and physically struggled in the second set. "I tried to be aggressive as I can," said Zverev. "If Roger starts being aggressive with his forehand and backhand then it is not going to be an easy day for me." Zverev avenged a 6-1, 6-3 loss to Federer in the Halle final in June - his only loss in a final this season. He is now tied with Federer for the most titles this season at five. "It's a wonderful achievement for him," Federer said of Zverev. "I wish him the best for the coming months and hope he can finish the season very strong. "I'm just really happy for him, to see that he's taking everything not just to the next level, but the two next levels." Federer said playing a lot on the hardcourts this week caught up to him on Sunday. "I felt all right all week. Had a bit of muscle pain, aches and pains here and there, just because it's back on the match courts, on the hard courts," Federer said. "After vacation and practice, it's always a bit of a shock for the body. "We'll have to wait and see now how I feel in the next couple of days." Federer will travel to Cincinnati Sunday night for the next tournament then see if he can play back to back events. "I will take a decision in the next couple of days and see how I feel after five days of playing, if I'm ready to play in Cincy next week or not," he said. "Looking ahead to the US Open, obviously I want to be in the best possible shape. 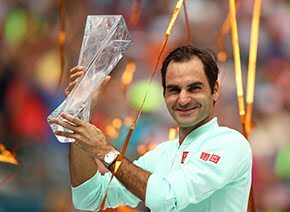 Winning my third of the year, my 20th Grand Slam, would be completely insane. I just hope I'm going to be 100 percent ready when the moment arises." 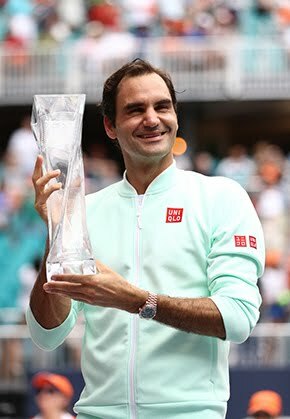 The victory over the 19-times Grand Slam champion was the second ATP World Tour Masters 1000 title of the season for Zverev, who also beat Novak Djokovic in Rome. 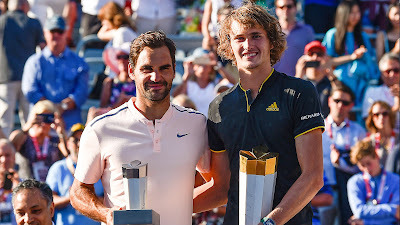 "This one against Roger is something so special for me because he was always a great idol growing up for me," Zverev said during his trophy presentation. "The greatest player of all time, beating him in a final, not just any final but in the final of a Masters 1000, is amazing."